One of the last challenges we faced on the project I currently work on was to find out a strategy to structure our React Redux unit tests. Before starting any sort of rambling it is good to stop for one second and remind ourselves of the benefits unit testing provides. Unit testing is a type of automated test that is the closest to the code itself. Unit tests help find software bugs early; they give confidence to devs when it is refactoring time (hence always) and they provide live documentation to our software. They are also the bedrock of Test Driven Development. Unit tests provide fast feedback on code. These are just some of the reasons why if you are not unit testing your React Redux application yet you should start to think of doing so. How to unit test a React Redux Application? React and Redux are pretty new technologies and, as always, in software development there is no absolute dogmatic way to test code; developers take different approaches and use different tools based on their needs. After a few weeks of research me and my team came up with a React Redux Manifesto. It was a way to start being consistent within the team. We collected testing guidelines and we explained why we decided to test things in a way rather than another one. Today I want to share our takeaway from this experience, hoping this could help other developers to shape a testing strategy for their React Redux applications. Enough talking, let’s dive into the matter. It’s not the purpose of this post to explain how Redux works, there are already gazillions of good resources for that (some of them are in the further reading section). Anyway it is useful to quickly refresh how the state is managed in a Redux application. Our UI components (more specifically our container components), subscribe to the store and they are able to dispatch actions to it. 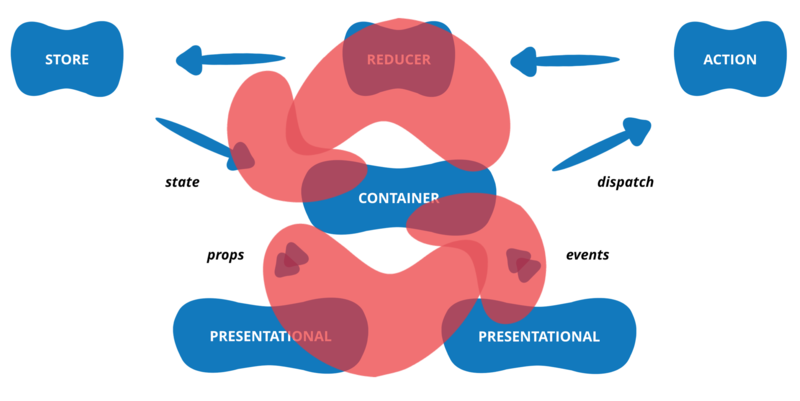 Let’s keep this in mind and look at how we integrate React with the Redux design pattern. This is a simple pattern you can use when writing React applications. You have probably already heard about it if you are familiar with React. 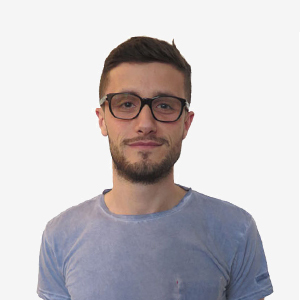 Dan Abramov (the creator of Redux) explains it very well in this article. Let’s quickly refresh what Container components (aka Smart) and Presentational components (aka Dumb) should be responsible for in a React app. Have no dependencies on the rest of the app, such as actions or stores. Rarely have their own state. Are usually written as functional components. Are concerned with how things work. Provide the data and behaviour to presentational or other container components. 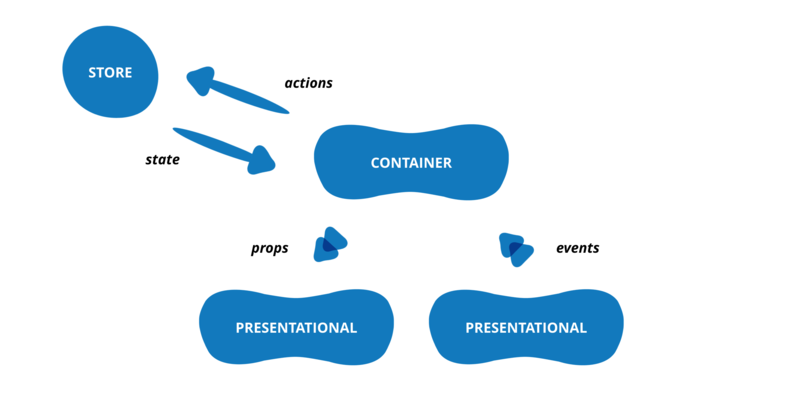 Call actions and provide these as callbacks to the presentational components. Are often stateful, as they tend to serve as data sources. Are usually generated using higher order components such as connect() from React Redux. The final architecture, what should I test? If we connect the dots this is the picture of our final architecture we want to test. I will use an example to better explain the decision I took to test the application. The example made use of Webpack to bundle the app modules and to use React Hot Reloading. Jasmine with Karma is used to write and run the tests. I also used Airbnb Enzyme testing utility for React together with the Enzyme matchers assertions library to make our tests and assertion more readable and easy to understand. DISCLAIMER: What follow are personal opinions on how to test React and Redux, they are not the right way but instead what turned out to be effective for me and my team. I found presentational components the easiest to test. They do not contain any sort of logic and they are often the leaves of the React DOM tree which means they often do not have children. Although it can seems pretty dumb, it makes total sense to test if the component did render as expected. Let’s say that check if the rendering works fine is the starting point when we test components. For presentational components another important bit to test are callbacks. In this example we want to check that when I click the button the onClick callback function (a Jasmine spy in our test) I passed as a prop to the Button component has been called correctly. 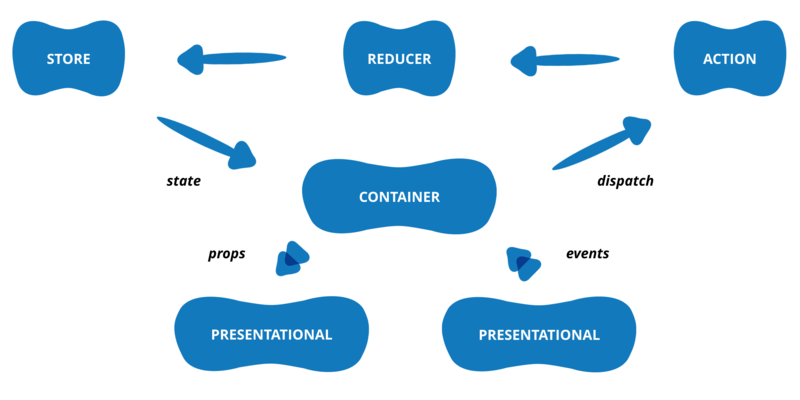 When we talked about the presentational container components pattern we pointed out that container components are usually generated using higher order components. In our case we are using connect() from the React Redux library to be able to inject Redux state into a regular React component. In order to be able to test the App component itself without having to deal with the decorator connect([...])(App), Redux documentation recommend to also export the undecorated component App. We are also exporting the mapDispatchToProps function in order to test it. It’s interesting to observe we decided to do not export mapStateToProps for testing purposes. This is because we are using a library from Facebook called Reselect to create memoized, composable selector functions. The aim of this article is not to explain how Reselect works but keep in mind that if you do not decide to use selector functions (with or without Reselect) you should also export mapStateToProps and test any logic in it. If you are interested to see how the selectors code looks like in the example you can find it here and the related tests here. Again check if the rendering works fine is the starting point when we test components. In this case because our container component has several children we want to check in our tests that the renderedComponent (Enzyme wrapper) contains every React component instance which is supposed to be initialised given a determined set of props. Although it makes sense to test if React is rendering the children of a container component given a determined set of props, it is questionable to check the attributes of the rendered components because they are details which tend to change very quickly. So in case we decide to do not test them in the example above our tests would change and use the toBePresent assertion rather than the toContainReact one. In mapDispatchToProps we are only composing action creators with dispatch under regular circumstances. In the test below we are checking the object returned by the mapDispatchToProps function contains an onClickButton property. We are also testing the dispatch function has been called with the action object returned by the loadUserInfo action creator whenever the onClickButton property has been called. Someone can argue this tests are dumb under regular circumstances. Anyway we found this tests useful to catch errors when action creators are assigned to the wrong prop by mistake. In Redux, action creators are functions which return plain objects. Because action creators are just wrapper around action object we decided to do not test them. Besides by creating the actions via action creators when testing reducers, we’re already verifying that the action creators work as expected. Changes are made with pure function in Redux and the reducer is a pure function that takes the previous state and an action, and returns the next state. In this example we use ImmutableJS to manipulate the state of our application. Let’s take this simplified version of the appReducer. Here the reducer is responsible only to handle actions of type CHANGE_TEXT_FIELD that will return a new state with a textField value equals to action.value. In all the other cases (default) it returns the previous state. Testing reducers should be quite simple because they are pure functions (same data in, same data out, no side effects). As I mentioned before another thing to consider is to use action creators when creating the action for the reducer under test. Taking this approach allows us to avoid explicitly testing any action creators. In the following tests we are using the Jasmine Immutable Matchers library to be able to use the toEqualImmutable assertion on Immutable objects. In the case you decide to do not use ImmutableJS you need to take into account that the previous state can mutate when is passed to the reducer as argument. You need to write test that consider this eventuality and you may want to Object.Freeze recursively your state before passing it to the reducer using a library such as deepFreeze. I don’t want to treat E2E tests in depth here. I just want to point out that although mainly tools like Selenium, Protractor, etc are used to do E2E testing the nature of React Virtual DOM allow us to mount the root component of our application and simulate user interactions using a testing utility such as Enzyme. We have a very fast and convenient way to test the most critical part of the application thanks to React, let’s make sure to use it and consolidate the bedrock of our test pyramid. You will always need some functional Selenium tests in your application, but you can write a great part of them in a more unit level fashion and cut the final cost of your test suite. How to unit test a React Redux Application? What should I test? Well, if you are still with me at this point of the post you surely are a tough person and I would be happy to hear what is your way to unit test a React Redux application. Drop me a comment below! You can find the entire source code of the examples above in this Github repo.